As the holiday season draws near, lots of people are preparing their trip, or maybe some have prepared, to spend their Christmas and New Year’s holiday. Since for lots of people year-end holiday have a big meaning, lots of people tend to look for a great and special place to spend their year-end holiday in. Spending your year-end holiday in Tokyo is also one of the best choices that you’ve ever have. The Christmas and New Year atmosphere in Tokyo is as amazing as always, and in my opinion this is the best time and the most romantic time to spend in Tokyo. Moreover, there are more than plenty luxury hotels in Tokyo that are ready to facilitate you to make your year-end holiday become the best moment ever. Therefore, today I’m going to cover some of the best choices of luxury hotels in the metropolitan city Tokyo. Before we go to the first hotel, most of the hotels in Tokyo have their own special Christmas Eve and New Year’s Eve events. Spending the Christmas and the New Year’s Eve in the luxury hotels in Tokyo is one of the great choices. However, as a side note, an early reservation is required to spend your year-end in those hotels since not only tourists who are staying in those hotels, but the Japanese people also spend their year-end in those hotels. Now, let’s go the first choice of the luxury hotels! Located on the top nine floors of the Nihonbashi Mitsui Tower, in Tokyo’s Nihonbashi neighbourhood, which is the heart of the Tokyo city. This hotel has 178 guest’s room that are located on the 30th – 36th floors of the building; while the award-winning Spa at Mandarin Oriental, as well as paradigm-setting restaurants and bars are located on the 37th and 38th floors. With the Imperial Garden to the west and Tokyo Bay to the south-east, this Mandarin Oriental Hotel afford amazing views of the city from over 30 stories above the city. The contemporary design concept of this hotel governs the look and feel of the hotel with an aesthetic predicated on the themes of woods and water. moreover, all of the rooms in Mandarin Oriental Tokyo offer striking view of the metropolitan city Tokyo. 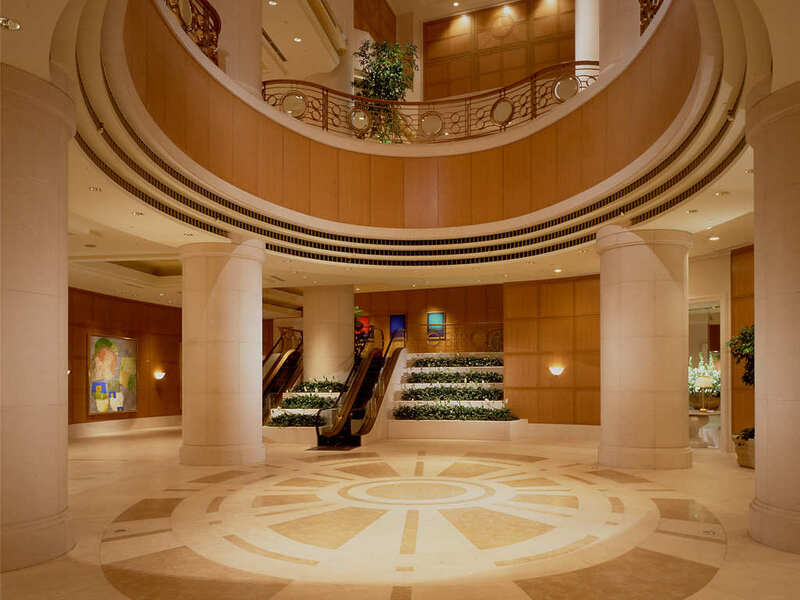 Mandarin Oriental Tokyo is also awarded as the best hotel in Japan by Travel+Leisures in January 2012. 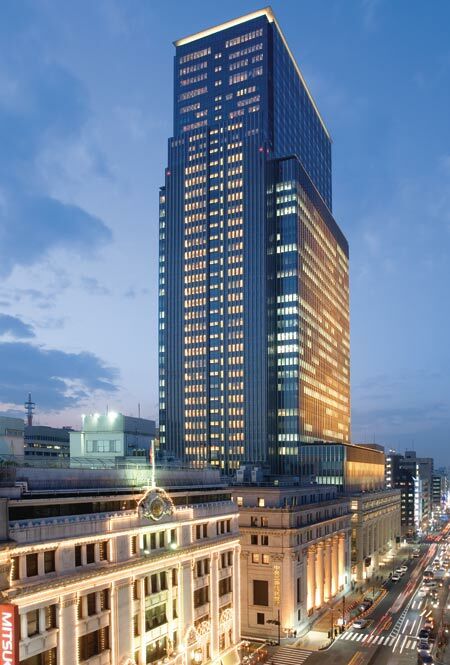 This 24 story luxury hotel located in the prestigious business district Marunouchi, opposite the Imperial Palace and Hibiya Park, and it only take some minutes walk to the shopping district Ginza. With the 24 story building, The Peninsula Tokyo offers 314 spacious guest rooms, including 47 suites, five unique restaurants, a modern lounge bar, two ballrooms, six elegantly designed function rooms, a wedding chapel, a Japanese ceremony room, a fitness center and The Peninsula Spa by ESPA. The Tokyo Peninsula also offers a range of gourmet options, which include the Lobby; where the famous Peninsula afternoon is served; authentic Cantonese cuisine at Hei Fung Terrace, Japanese kaiseki at Tsuruya, and many more. The guest room of The Peninsula Tokyo are among the largest in Tokyo and offers a magnificent views of the city, Imperial Garden, and Hibiya Park. The Peninsula is also awarded as the second best hotel in Japan. Standing only a few metres away from the Tokyo Tower, The Prince Park Tower Tokyo is also one of the biggest hotels in Tokyo that offer an amazing view of Tokyo Tower. Located in the Shiba-Koen, Manato-Ku, makes it quite near to Roppongi, one of the biggest commercial and night-life areas in Tokyo. The Prince Park Tower Tokyo also has a wide variety of facilities, such as bowling, beauty treatment, spas, fitness, and hot spring, make one of the most complete facilities hotel. Since it’s located in Shiba Park, The Prince Park Tower Tokyo also offer a green view that not many of the hotels in Tokyo could offer and a wide garden in front of the hotel. 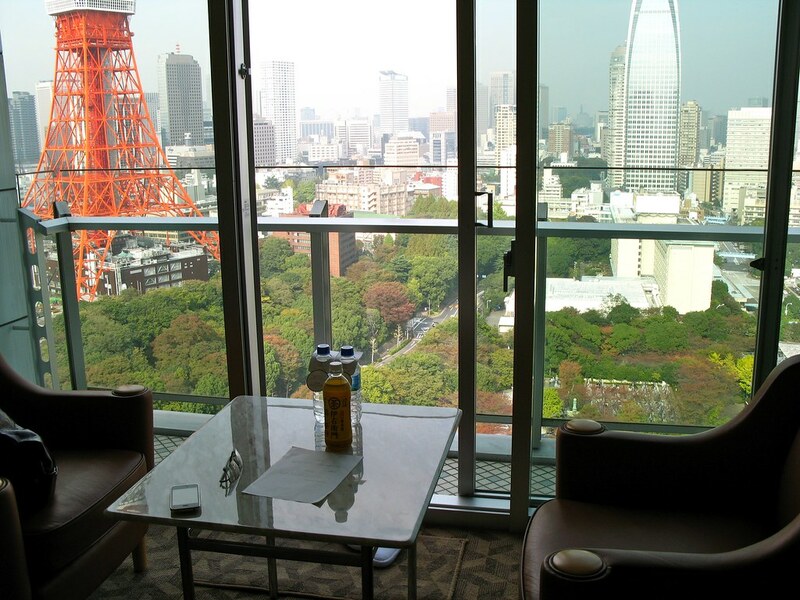 However, the most precious thing that you could get from The Prince Park Tower Tokyo is the magnificent night-view of Tokyo Tower that could be enjoyed from the private room and from the bathroom as well. Park Hyatt Tokyo is one of the most luxurious skyscraper hotel in Tokyo. 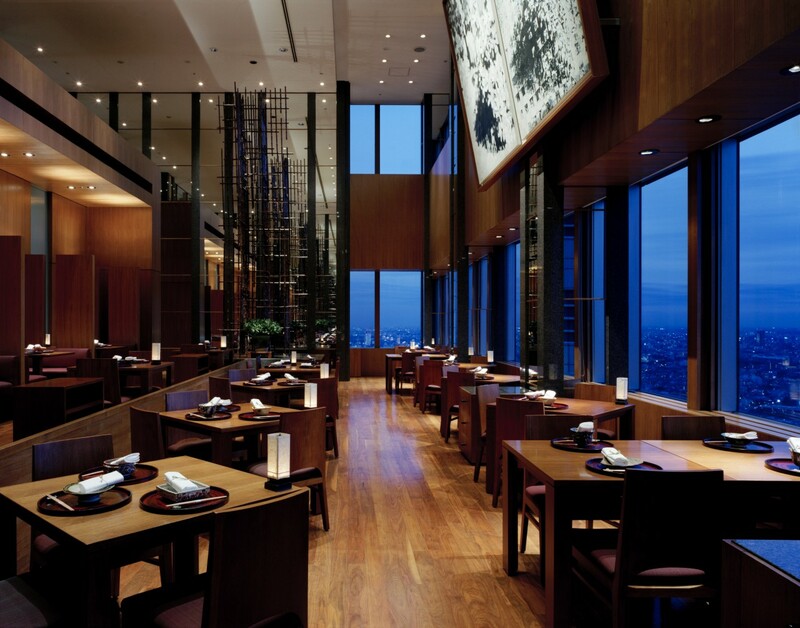 Park Hyatt Tokyo is also the inspiration and the backdrop for the critically acclaimed film, Lost in Translation. 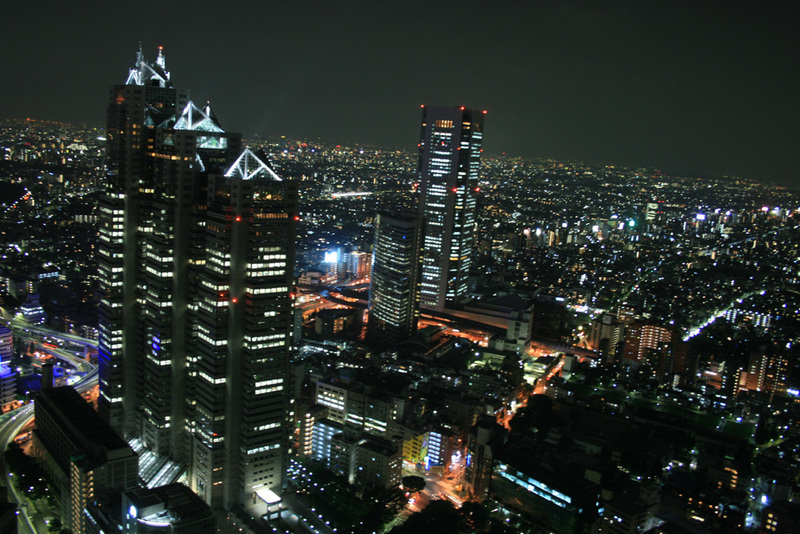 Located on the 39th to 52nd floors of Shinjuku Park Tower, Park Hyatt Tokyo offers spectacular views of Shinjuku, Tokyo, and Kanto Plain all the way to the Mont Fuji. 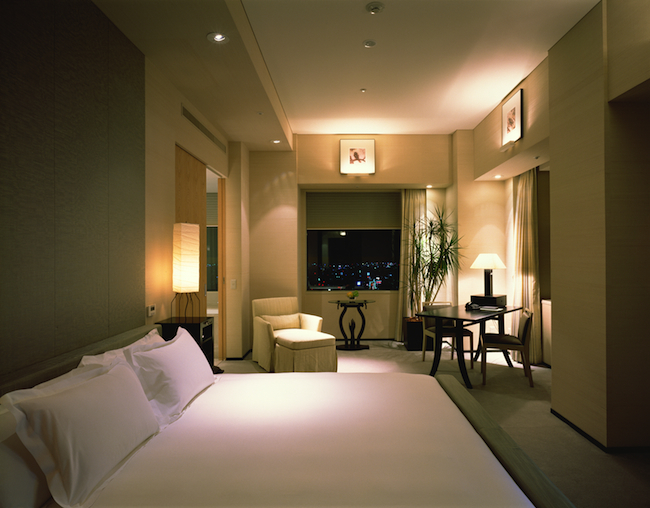 The 178 guest rooms and suites are the most spacious hotel guest rooms in Tokyo. Park Hyatt Tokyo also has a wide range of excellent restaurants, such as the Dynamic New York Grill and the starkly beautiful Kozue for the Japanese cuisine. 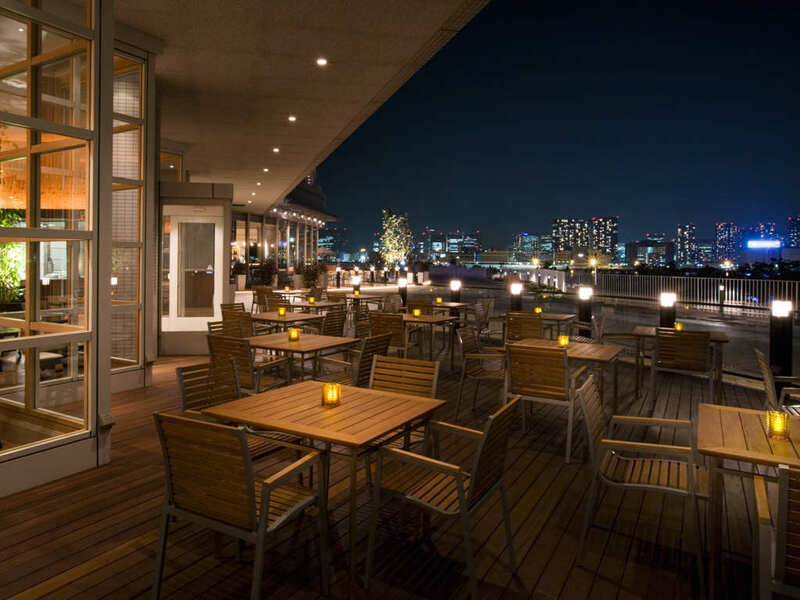 Since it’s situated in the heart of Shinjuku, one of the vibrant commercial and entertainment district in Tokyo, Park Hyatt Tokyo become one of the best spot to enjoy the night views of metropolitan Tokyo. Another great luxury hotel that offers a terrific views of Tokyo’s urban waterfront from all of the spacious and luxurious guest rooms with its spacious balconies. 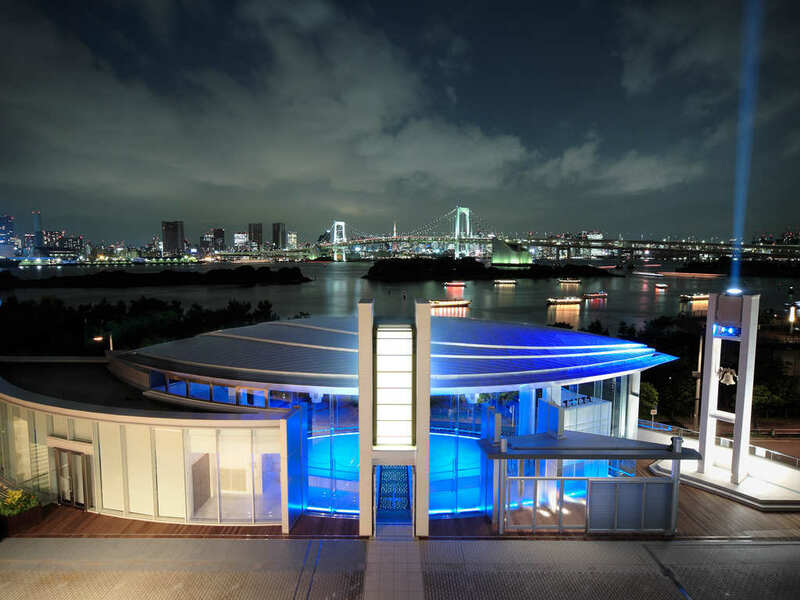 Hotel Nikko Tokyo that is located in the artificial island of Odaiba, makes it’s close to a modern theme park Joypolis, National Museum of Emerging Science and Innovations, and a European vintage style department store Venus Fort. The 453 guest rooms that are offered has balconies to enjoy the night-view of the Tokyo’s waterfront. Hotel Nikko Tokyo owns one of the most amazing views of Tokyo. From the room’s balcony, you can enjoy the charming night view of Tokyo Bay, the colourful Rainbow Bridge that connects the main land of Tokyo with Odaiba, the pack of shinning little traditional boats travel through the Tokyo Bay, with Tokyo Tower and the crowded buildings of Tokyo as the background, makes Hotel Nikko Tokyo has something that no other hotels in Tokyo could offer. Actually, Tokyo still has many more luxury hotels that has as great views and facilities that can match with those hotels above. However, in the end, it’s still depend on what your choice is. 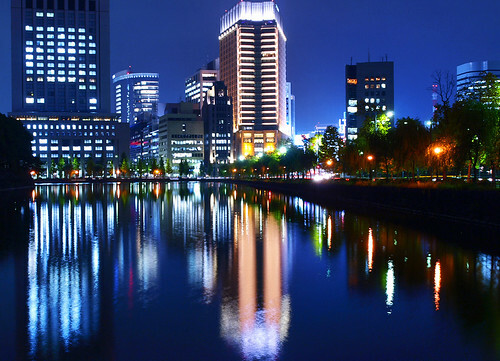 With so many luxury hotels that have different superiority in Tokyo, makes Tokyo more obvious as one of the best cities to spend your year-end holiday.